The government, through a notification in April this year cancelled advocate Deepak Mirajkar's appointment as special public prosecutor in the case. 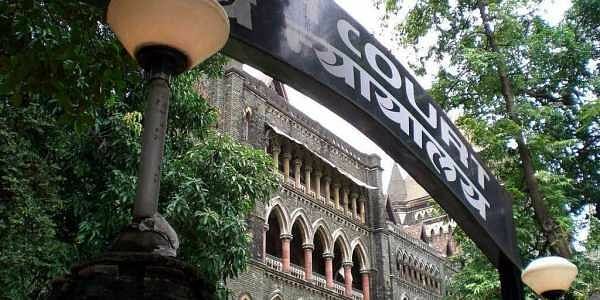 MUMBAI: The Maharashtra government justified its decision to remove a special public prosecutor from Khwaja Yunus custodial death case, for seeking to arraign four policemen as accused in it, and told the Bombay High Court that it was not trying to protect the police officials. The government's decision came after Mirajkar filed an application before a sessions court, which is presently conducting the trial in the case, seeking summons to be issued against retired police officer Praful Bhosale and three other policemen and make them face trial on murder charges. The application was filed after key prosecution witness, Mohammed Abdul Mateen, had deposed before the court claiming that he had seen Bhosale, then assistant police inspector Hemant Desai and two other policemen assault 2002 Ghatkopar blast accused Yunus in police lock-up. Yunus's mother Asiya Begum approached the high court earlier this month challenging the government's decision. Advocate General Ashutosh Kumbhakoni yesterday told a division bench of Justices R M Savant and Revati Mohite-Dere that the decision to remove Mirajkar was not to shield the four police officials. "The decision was taken as Mirajkar's move to file the application was contradictory with the state government's view. The government had already in the past refused sanction to prosecute these four policemen," Kumbhakoni said. "The government's sanction refusal was challenged by Yunus's mother Asiya in the high court. A division bench of High Court had dismissed the petition and upheld the government's decision. Asiya then appealed in the Supreme Court and the matter is still pending," he said. Hence, in such a situation, Mirajkar should not have filed such an application seeking for the four police officials to be arraigned as accused in the case, the AG said. Justice Savant said, "The division bench of the high court in its order has clearly said there is no evidence against these four policemen. Now the matter is pending before the Supreme Court. The impact of the high court judgement is such that it has curbed the trial court's powers under section 319 of the Code of Criminal Procedure." Under this section, the trial court has powers to arraign as accused any person against whom there is prima facie evidence of having committed the offence in question. "In the light of the high court order, was the prosecutor (Mirajkar) justified in filing such a plea?" Justice Savant said. The court, however, asked the government to consider giving Mirajkar another opportunity. "Try to resolve the issue. Maybe the government could now make its view on the subject clear to the prosecutor and see if he is willing to withdraw his application," the court said posting the petition for further hearing on August 9. Yunus (27) was detained soon after the December 2002 Ghatkopar bomb blast. While the police claimed that he escaped when he was being taken to Aurangabad for questioning, a Criminal Investigation Department (CID) inquiry ordered by the high court on a petition filed by his father revealed he had died in police custody. The inquiry had indicted 14 policemen, but the government-sanctioned prosecution for only four, who are on trial. Four police officials - Sachin Waze, Rajendra Tiwari, Rajaram Nikam and Sunil Desai - are facing trial on charges of murder, voluntarily causing grievous hurt to extort confession, fabricating evidence, and criminal conspiracy in the case.